TTP Labtech is a global leader in the design and development of automated instrumentation and consumables for life science applications. 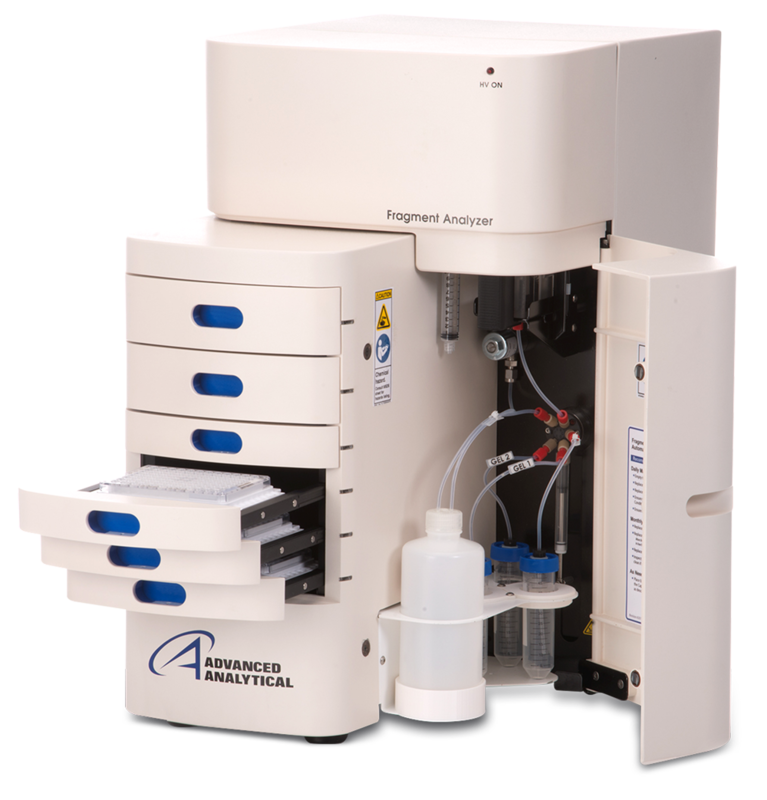 Advanced Analytical Technologies (AATI) is the award-winning manufacturer of Fragment Analyzer™ and FEMTO Pulse™ automated systems for nucleic acid sizing and quantity analysis. The Fragment Analyzer INFINITY™ model integrates within robotic cells for complete 24+ hour automation. The companies have signed a co-marketing agreement to support joint solutions that miniaturise and optimise high-throughput next-generation sequencing (NGS) library preparation workflows. The new NGS methods, published by Stanford researchers in Cell (Loh and Chen, et al., 2016) and Nature Scientific Data (Koh and Sinha, et al., 2016), combine the versatile TTP Labtech mosquito® automated low-volume liquid handlers with Advanced Analytical’s Fragment Analyzer™. The approach overcomes challenges associated with high-throughput single-cell sequencing. Combined use of the mosquito and Fragment Analyzer systems enables scale with cost-efficiency, accuracy, and precision. The Stanford team’s mapping of stem cell differentiation along multiple mesodermal lineages required preparation of miniaturised RNA-Seq libraries from nearly a thousand single-cells, a demanding task that would have been difficult to achieve without high-throughput instrumentation and nanolitre-scale liquid handling. TTP Labtech’s mosquito liquid handlers leverage precise and accurate true-positive displacement technology. The mosquito X1 and HTS were used to prepare input plates for the Fragment Analyzer, automate cDNA normalisation and generate low-volume Nextera® XT sequencing libraries in 384-well format. Efficient and accurate quantification and quality analysis on the AATI Fragment Analyzer was essential for the large-scale scRNA-Seq application. 1. Kyle M. Loh, Angela Chen*, Pang Wei Koh, Tianda Z. Deng, Rahul Sinha, Jonathan M. Tsai, Amira A. Barkal, Kimberle Y. Shen, Rajan Jain, Rachel M. Morganti, Ng Shyh-Chang, Nathaniel B. Fernhoff, Benson M. George, Gerlinde Wernig, Rachel E.A. Salomon, Zhenghao Chen, Hannes Vogel, Jonathan A. Epstein, Anshul Kundaje, William S. Talbot, Philip A. Beachy, Lay Teng Ang^, Irving L. Weissman^; Mapping the pairwise choices leading from pluripotency to human bone, heart, and other mesoderm cell types. Cell, 166:451-467, 2016. Ziath Ltd. has announced that it will showcase its latest 2D coded tube scanners, imagers and semi-automated Mohawk tube selector this spring/summer.